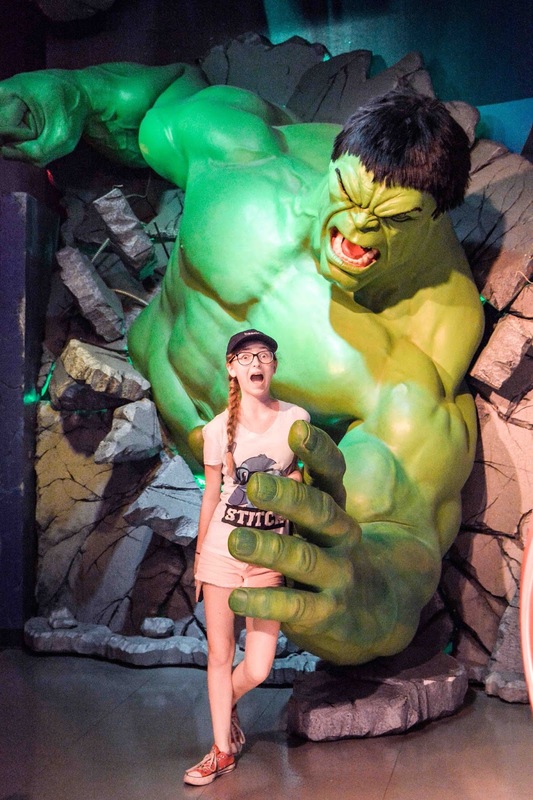 We didn't plan out much on our summer vacation, but one thing we wanted to do when we got to California was hit up Madame Tussaud's Wax Museum. 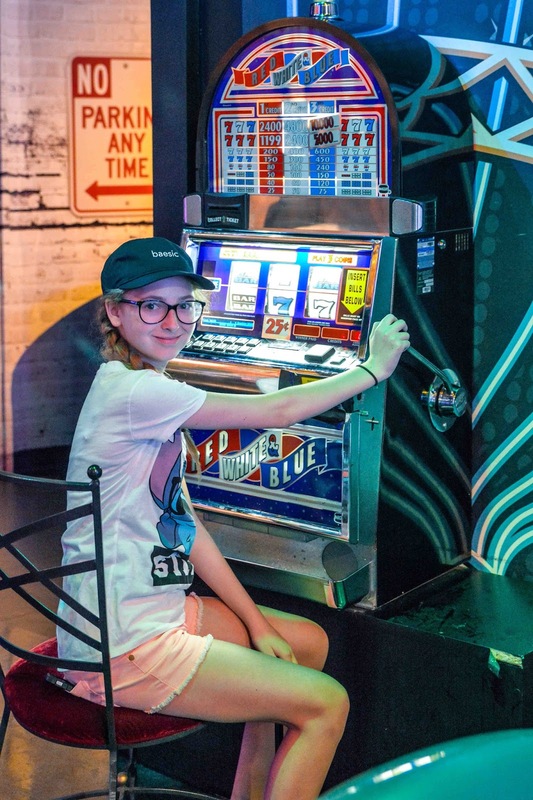 While we were in Las Vegas, the girls were getting a little tired of walking out in the desert heat, so we decided to move up our plans and duck into the Vegas Madame Tussaud's for a little relief from the scorching sun instead of waiting until we got to Cali. 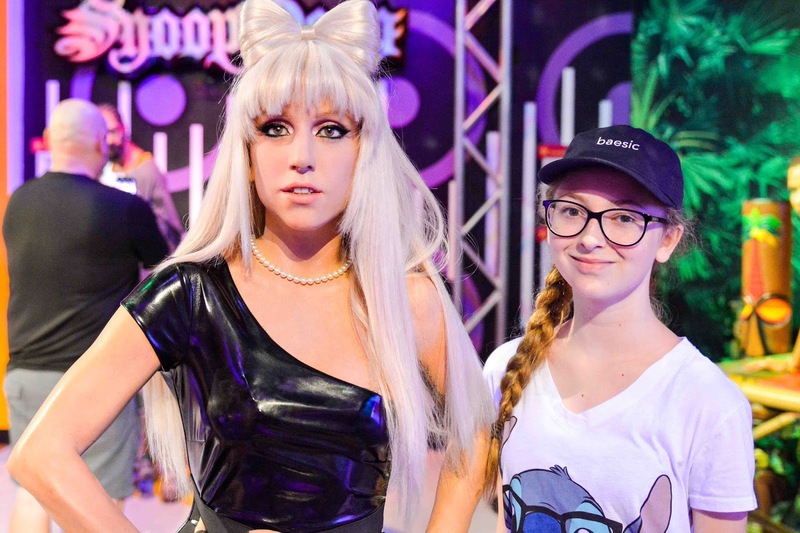 Since there's a pretty slim chance the girls will ever meet their favorite celebs in real life, they had a blast running around posing with their wax figure counterparts. Jason and I even had a good time spotting our celeb crushes. Sophia here is his dream girl, but Fergie is a close second. Of course, there's more than just celebrity wax figures. 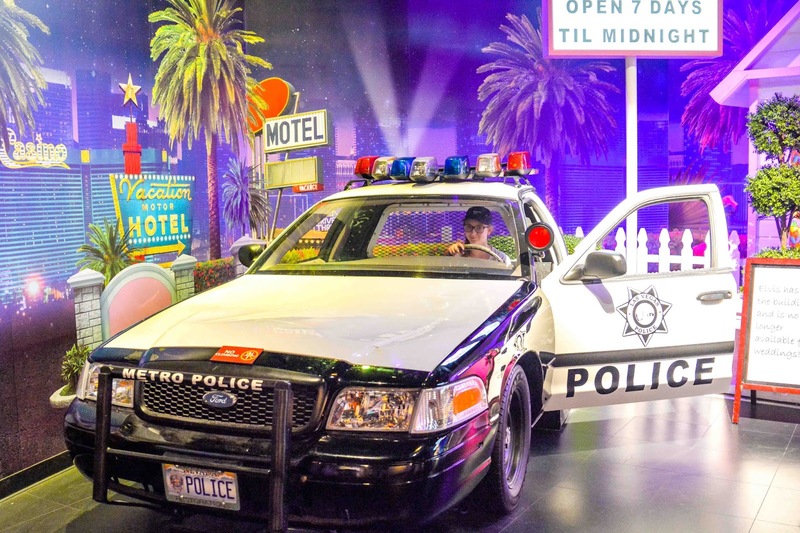 There are a few movie scene and Las Vegas attraction props that are great for fun photo opps too! Madame Tussad's in Las Vegas isn't overly huge. We were able to get through in about an hour. Also, they were not busy at all, so we were able to spend a lot of time posing with each figure without feeling rushed or without having a lot of photo bombs from strangers. I'm glad we were able to find relief from the heat and knock off an item from our travel itinerary with our impromptu visit to the museum in Vegas. Win, Win for us! Have you ever been to a Madame Tussaud's? 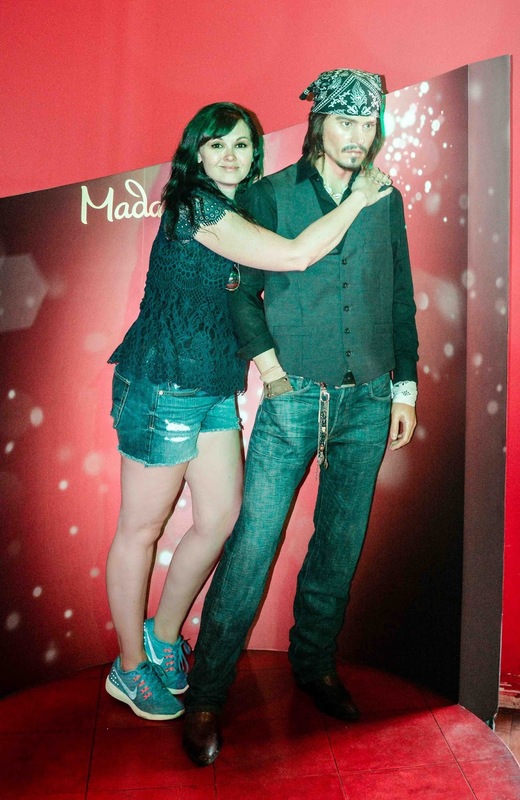 If not, what wax celebrity would you like to find to pose with? haha you guys sure looked to have some fun there. You and Jason got a little handsy too lol Some of them look so real it's rather freaky. Hey now, leave my imaginary boy toy alone ;) We were surprised at how life like some of them were. Some of them were quite disappointing, but not many. I think their Will Smith was way off. I took an inappropriate one with Justin Bieber (giving a little punch where he most deserves it) Jason had fun imitating Michael Jackson (again, inappropriate for a blog post lol). I never did get around to posting our vacay photos on Facebook. I'm a little less reserved there. Someday I may get them up there. I like the Stevie Wonder image! It's crazy - many of my students didn't know who Stevie Wonder is at all. I know they didn't grow up with him singing, but I thought he was an icon. How fun! I remember in the Rock and Roll Hall of Fame Museum in Ohio - they had some of these. My favorite one there was Tina Turner. It just looked the most like her. Even my girls knew who Stevie Wonder was, though I think his popularity is waning with the newer generation. Atlanta doesn't have one? I thought there were some in a lot of the major cities like that. I was lucky enough to go to Madame Tussaud's in London - that was back in 1988, though, so I'm sure most of the wax figures have been swapped out by now. I remember they had a beautiful one of Princess Di, and the rest of the royal family. They also had Elvis, Marilyn Monroe, Michael Jackson and Madonna. I wonder who they would have now!? I think Princess Di would have been a really neat one to see. I imagine she's a permanent fixture at the one in London as she was such a beloved lady. I LOVE wax museums! I've always found the level of detail and realism they have in their figures to be astonishing. That is so cool! I would love to see Madame Tussaud's one day. I've never had the chance before, but I know the fam and I would have so much fun. The figures are really amazing! I was at that museum, but it's been years. I have also been to the ones in NYC and DC -so fun. I love Madame Tussauds! I have been to the ones in Amsterdam, London, and NYC..I miss that one on Vegas! 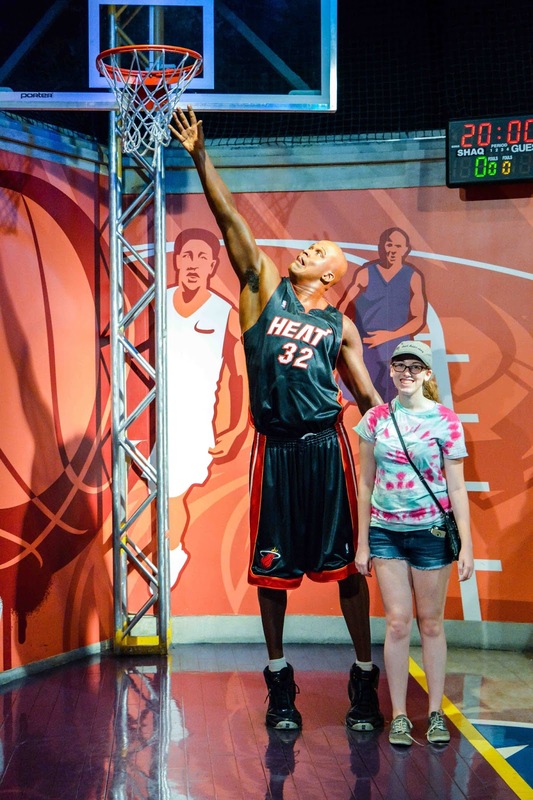 Oh what a fun time we went to a wax museum in some location once, it wasn't celebrities though. What a cool experience to have, and looks like a super funny time too! I have never been to Madame Tussauds, I've always seen them around but never actually in one! This looks like so much fun and like I need to do it soon! Oh my gosh, I thought they were real people at first! That's so crazy and fascinating! We have been here once before. I forgot how much fun we had! Glad you all had fun! This looks like so much fun! I love the pictures you got with the wax figures. This looks like so much fun. We have one in NYC and I have to take the kids! Never been there but it looks like soooo much fun. Love the Johnny Depp one for sure! What a fun trip!! I thought you really met those celebrities! I haven't been to a Madame Tussauds, but I would love to go! I wouldn't mind seeing Johnny Depp or maybe Jimi Hendrix! Looks like you guys had lots of fun. It's been a long time since I've been to a wax museum! It's always so much fun especially when you spot your fave celebs! 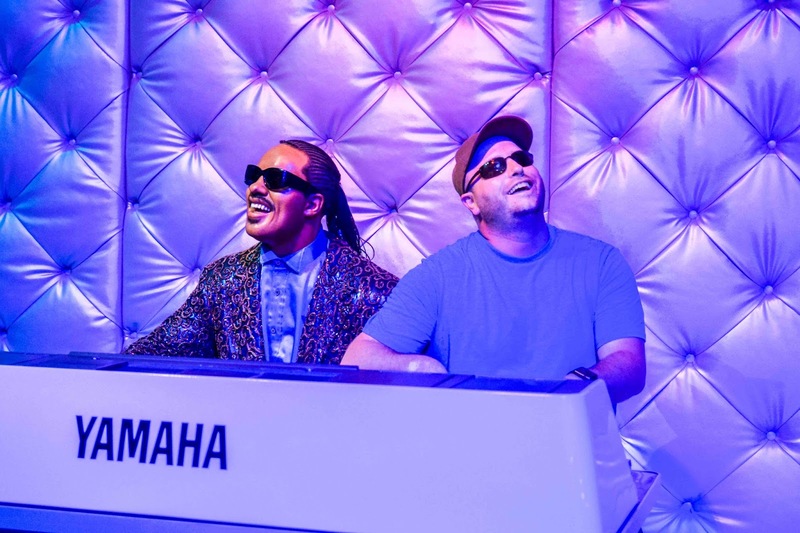 It looks like you all had an awesome time at Madame Tussaud's! How fun! It's always nice to go to a Madame Tussaud's wax museum and just have a blast! And after seeing the pictures it looks like you had a great time there! That Hulk one is pretty amazing! 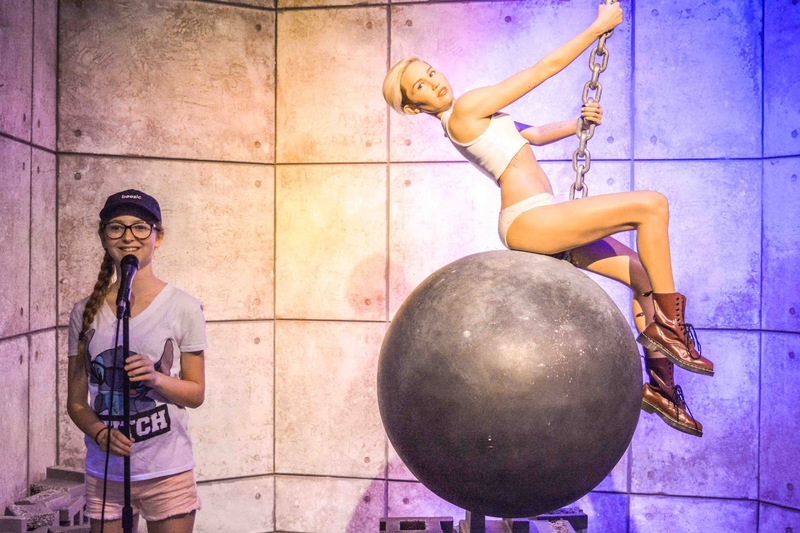 I had to laugh at the Miley wax figure. Fergie's got some cleavage! I'd love to explore a Madame Tussaud's Wax Museum someday. Would be so much fun. I love the pictures, sure looks like you all had a good time. 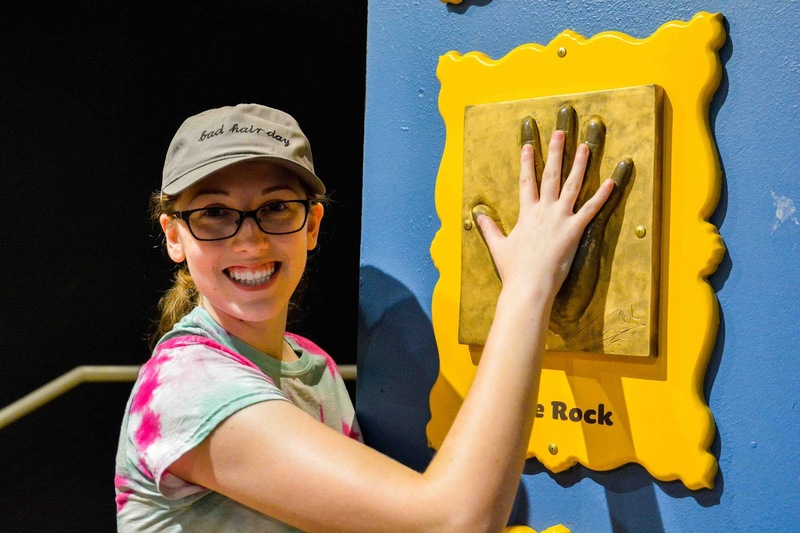 Looks like you and your family had a great time at Madame Tussaud's! Love all the different wax figures they have there. 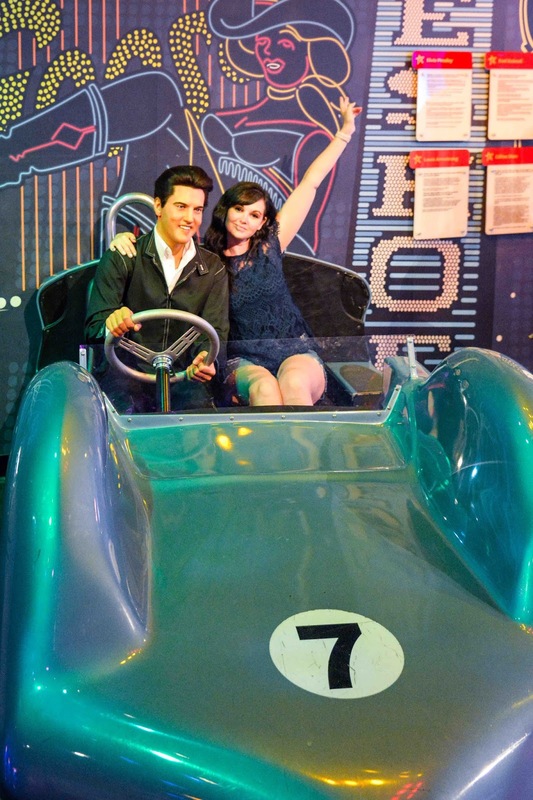 I have never been to Madame Tussaud's but it sure looks like a lot of fun! Those wax figures look so real. If I were there, I'd look for Brad Pitt, George Clooney, Mark Harmon, and Robert Downey Jr! Oh, and Harrison Ford of course! What fun, Theresa! I've been by Madame Tussad's in Las Vegas lots of times, but I was always on the way to somewhere else. Your photos were such fun, I've got to make myself stop and visit it.